We review our second MSI GeForce GX 2080 Ti card, and (if you are willing to spend the cash) this might be the one to get to be totally honest. Meet the DUKE, it's slim, as fast as the TRIO, roughly in the same area cooling and acoustics wise, but it is really, really good. That is quite impressing OC with the OC scanner. Recon it has something to do with MSI cranking up the power limit? It´s a great looking card, performs good, and even better when OC´d. Having both the Duke and the Trio seems a bit odd. It looks like a slightly slimmer Trio in another color scheme, and while the on-paper specs are not identical, the final performance basically is. So ultimately, the cards are very similar, and the price difference right now in Europe at least is only €30. There must be some bigger differentiating factor that I'm missing here. Gaming X TRIO is MSI's flagship product, kinda like Asus' STRIX. There are some differences, between Duke and TRIO. TRIO has heavier beefier cooler and it shows in temp/noise comparisons. Built a new system late last year based on Ryzen 7 1700/ Crosshair Hero v1 and a new monitor Asus ROG Swift PG278...so had to budget on my graphics card...probably wait 'till RYZEN 2 7nm before i build another new system. Also i have to agree with those that say that the Gaming and Duke versions are simply too close to make sense. Hilbert, is this card going to be included in the next christmas giveaway? This time around you are basically just paying extra for the 3rd party cooling because the 10-15% extra you used to get from factory OC'd cards is absent. I have no problem with this card, but I don't really understand the obsession behind it. In the last article discussing the Duke, everyone was fawning over it like it was the best looking GPU to have ever existed. Sure, it looks good, but it's not that special. I personally think the reference cooler is more interesting (not necessarily better looking, just more eye-catching). Well, the reference cooler is barely adequate even for stock speeds. I think MSI realizes that people who buy this have the intention to overclock, so even if it came pre-OC'd people would just push it further anyway, in which case, why should they bother? Besides, now that Nvidia is basically binning OC and non-OC chips, it's pretty much guaranteed that you should get decent results with one of the OC-able models. Good review, preordered mine today, and it cant come soon enough as using a 1030 2gb till it arrives, due to more than half the cost being covered by my sale of the 1080ti. Thanks boss for the review! 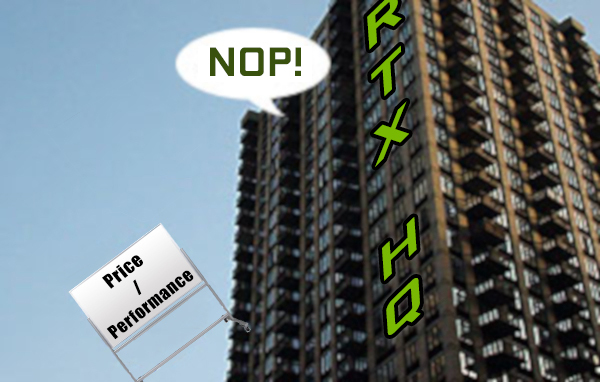 all we will here now is this RTX gameworks feature empowering Nvidia to push their agenda and gamers who are pushing it forward are the people who will be suffering from the fall out of its implementation into games. Problem isnt the tech problem is the hidden agenda to cripple performance for competitors creating fake results. It feels like a mixed bag of good and bad whith anything nvidia does. With all the extensive power draw testing you did, all at the wall apparently, did any of your 2080Ti *systems* exceed 500 watts at the wall? Or approach even? Reason I ask is I have a high quality 550W Seasonic Gold PS supply with a non overclocked 4790K cpu and a non overclocked 980GTX. This system consumes at most a little over 300 watts at the wall even though at the time it was recommended the system have a 450 watt power supply. I'm real curious if I could still use the existing system with a 2080Ti. Sure they recommend a 650W supply but I'm not sure I believe that thats neccessary given my current systems draw (ie is the 2080Ti really going to draw 200 watts more than a 980GTX)... again not an overclocker at all but a happy gamer. Rest of system is just 16gig ram and 3 SSD's. The online power supply estimators estimate my system with a Titan V at around 475 watts so that's still 75 watts of headroom at full load I figure. Lol, it's only because I read an article explaining the naming of the card that I get the joke. IIRC MSI did have Duke Nukem in mind, and Hail to the King is one of his catch phrases. Nice one! No, but the Trio is close due to its increase power limited. 550W is on the edge of things I'd say, but with a non-OCed and tweaked setup you should be okay. You can math it up, ~ 275 Watts + ~ 100 Watts for your CPU + 35 Watts chipset and then add your components (pcie cards / SSDs/ HDDs). If you're going to overclock, I would agree with Hilbert - 550W is getting a bit uncomfortably close. Seasonic is a good brand so when they say 550W, that tends to mean sustained load, rather than peak load. But generally speaking, you don't really want to be exceeding 80% of your PSU's capacity if you want it to live long and remain efficient and reliable. Depending on your workload you very well could exceed 80% if you OC (which is kinda the point of getting a GPU like this). So 650w is fine if you want to OC the card? I'm on a SeaSonic S12G 650W. Just do not do that! Every GPU, especially nVidia's draw power (current) in spikes. As measurements are time average and not immediate oscilloscope measurements, average does tell little about hidden danger to many sensitive components in PSU. Spikes are there because GPU is allowed to eat excessive power at times of need, as when parts of GPU are done with work, they are power gated. Check Tom's here, they are still doing most accurate measurement. "Its weight is nice (850g)"
That is a bit low now that I think about it? Let me recheck that in the next hour, the scale reported ~850g when I weighed it. Could be miscalibrated prior to weight. The problem with AMD is they don't spend the time with enough developers working on optimizations at the end of development. In contrast, nVidia goes out of their way to help developers get their games running as best they can prior to release. Nobody is stopping AMD from doing the same. Imo that asus strix is still the king, at least when it comes to thermals. yeah thats why Wolflenstein performs so poorly. Mate every game AMD works on performs amazing there is no hidden code to cripple performance and you say that about AMD that just isnt true at all. take it back you know what you said was bs. You seriously will need to change your tone on these forums if you would like to remain part of this community. I pre-ordered the Duke Ti in August when if first popped up for sale, purely because it looked the best imo. I'm very satisfied after seeing it here as the top performer.